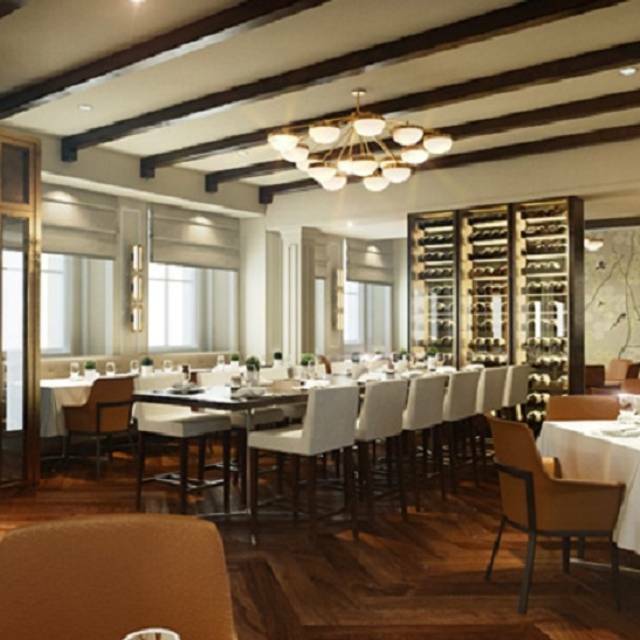 The Restaurant with its Georgian architecture, original artwork and impressive wine wall is open to hotel guests and non-residents. Enjoy exquisite cuisine inspired by fresh, seasonal ingredients in a sophisticated yet informal environment. West Country born Dan Moon has previously worked at a number of top restaurants where he has achieved numerous awards and accolades, including three AA Rosettes and The Caterer’s Acorn Award. 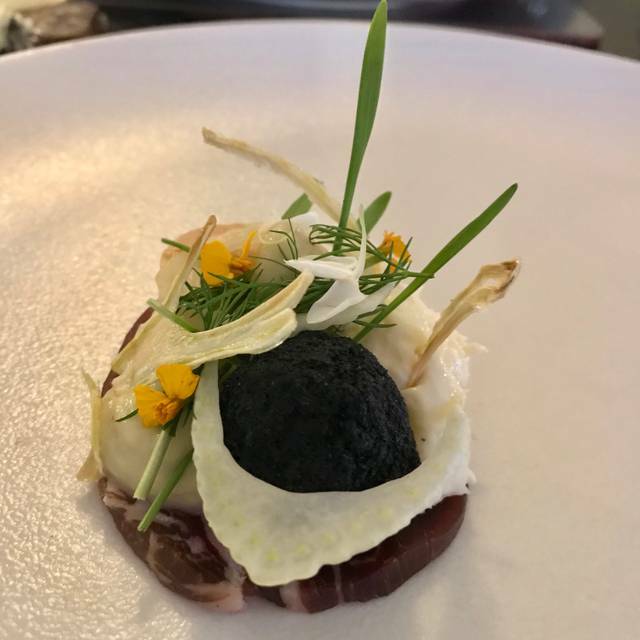 Taking inspiration from the desire to constantly innovate, Dan uses the best locally sourced produce to create stunning dishes which are delicate, beautifully presented and wonderfully flavoured. His passion and flair has taken the dining experience to a new level. Food was stunning and service by the two gentlemen were fantastic. However, not all staff mirrored excellent service with cutlery being literally thrown onto our place setting as she seemed to be rushing around. A small dissatisfaction in comparison to the quality and excellence of the food and presentation. We would definitely return. The Maitre D was a delight, but the lady that served us was cold and unfriendly, which was a real shame and the only negative. The food was excellent as usual. And the service is exemplary. It’s just a shame that there is an outside door which blew in cold air and had hotel guests arriving with their suitcases while we were eating. And then a group arrived with their children and were disruptive. That spoilt the atmosphere for fine dining. Menu as ever exciting with slightly different tweaks. Wine & service also excellent. We have never had a disappointing experience. We’ll be back! Lovely venue with well trained and knowledgeable staff. Imaginative and tasty dishes, beautifully presented. Wines, even by the glass were great. Great experience. Celebrated my sons Birthday on Monday night - definitely a meal to remember! Will most definitely recommend and will be back! My partner is french Normandy and she was impressed fantastic food tho beef dish a bit underwhelming wine fabulous hope to be an anniversary date again . 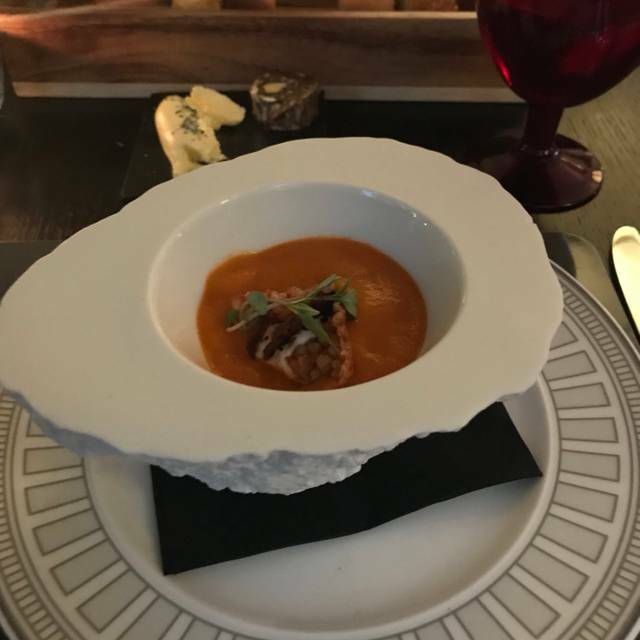 My partner and I had the 7 course taster menu, I found 4 of the courses to be quite dull and bland in flavour which was a shame but the other courses were outstanding. I would say we were pleasantly disappointed with our food, the service was fantastic!!! I wouldn't return as there are other fine dining experiences I've had which were far better. Superb! From the second we arrived, treated like returning friends. Dinner was delicious and very well presented. All staff were welcoming and very friendly from the front of house to the Maitre Dix and waiters. Waiters were helpful and friendly without being intrusive. Food was well presented and super tasty. The food this time was not as good as my last visit, in spite of it only being 2 weeks apart. This has happened before, the only thing that is consistent seams to be the bread. A great shame, as when the food is good it is excellent, yesterday both meals were over cooked. The puddings were great! We enjoyed our visit very much indeed; it lived up to the high quality of previous visits which we had experienced. The food was outstanding; the service was friendly, informative and efficient. On booking by phone we were asked about any special occasion - which we mentioned (birthday) - but there was no evidence at the time of the visit that it had been important for the restaurant to note or act upon. The service was polite and accommodating. The presentation of the food was beautiful and the quality was delicious. I would recommend this restaurant to all my friends. We travelled to Bath from Salisbury, especially to enjoy a celebratory dinner at The Gainsborough for my parents' Golden Wedding. We were greeted by a gentleman (the restaurant manager perhaps), when we arrived at 5:45pm for pre-dinner drinks. He congratulated my parents on their anniversary and we took our seats in the bar. We all chose the a la carte menu, and having moved into the restaurant, 3 x delicious breads with accompanying butters were served (cannot fault these), followed by the amuse-bouche, then our starters (all good). When we tasted our main courses however, (we all chose the Roasted Best End of Mendip Lamb), our dining experience quickly took a downturn - the dish was ruined, having had far too much salt added to it! It was almost inedible and I left most of it on the plate. The jus was extremely salty and having had it drizzled all over the dish, there was no avoiding it. We informed the waitress and restaurant manager (? ), who told us the chefs had been made aware and would be tweaking the dish for other guests that night, based on our feedback, for which they were "grateful". On to dessert and 2/4 we ordered were OK, but the lemon mousse was eye-wateringly zesty and far too tangy - we didn't enjoy it at all. What disappointed me the most was this... when I booked, I told the hotel we were celebrating my parents' golden wedding, hoping that there might have been some special touches added, to make the experience more memorable - there were none, other than a brief "acknowledgement" when we arrived. No complimentary petit-fours, no 'Happy Anniversary' added perhaps to the dessert dishes (as we have experienced elsewhere), just nothing! I wanted this to be a really special, memorable treat for my parents, but sadly The Gainsborough didn't deliver. The manager deducted 4 desserts from our bill, but I can't help but feel ripped off and extremely let down! 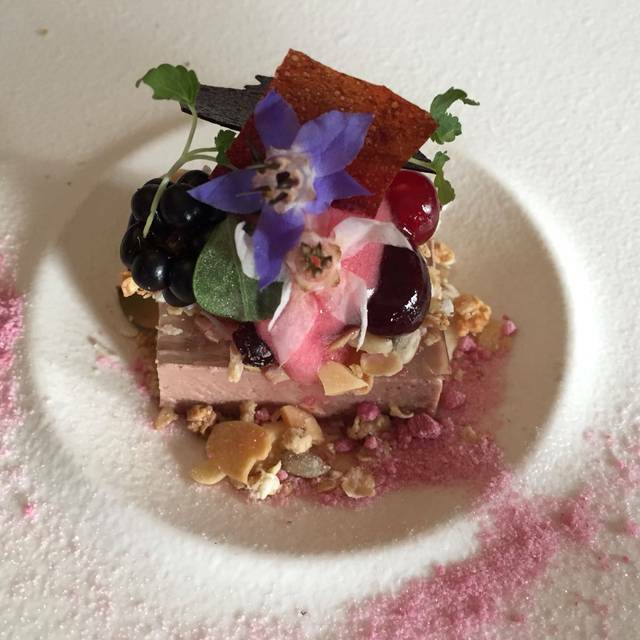 I’ve been dining at The Gainsborough and before that at Ston Easton when Dan was there and have never been disappointed. Not sure why he doesn’t have a Michelin Star; surely he deserves one. Nice restaurant, almost perfect service, friendly, attentive, just felt slightly neglected for a small period of time whilst waitress was a bit too chatty to another table but small quibble. Food very good, bread and chicken tea amazing. Slightly disappointed with the duck, was tender but not juicy or succulent. 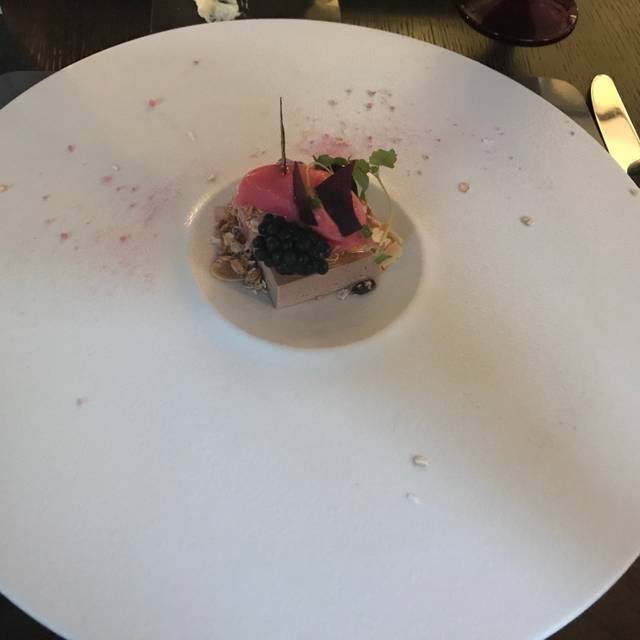 Chicken liver pate was also a miss although beautifully presented just wasn't to my taste not sure how well sorbet works with it. Caramel tart dessert was devine. On the whole a happy visit. We had booked upon recommendation from a friend, and we were not disappointed. Stylish decor throughout the hotel, attentive and friendly staff and exquisite cuisine made this celebratory lunch very memorable. I would not hesitate to recommend and hope to return again. Fine dining at its best! A peaceful and restful place to spend a lunch hour in Bath. Attentive, but not over-attentive, service. Food to tantalise the taste buds! 2 for 1 is a bonus. 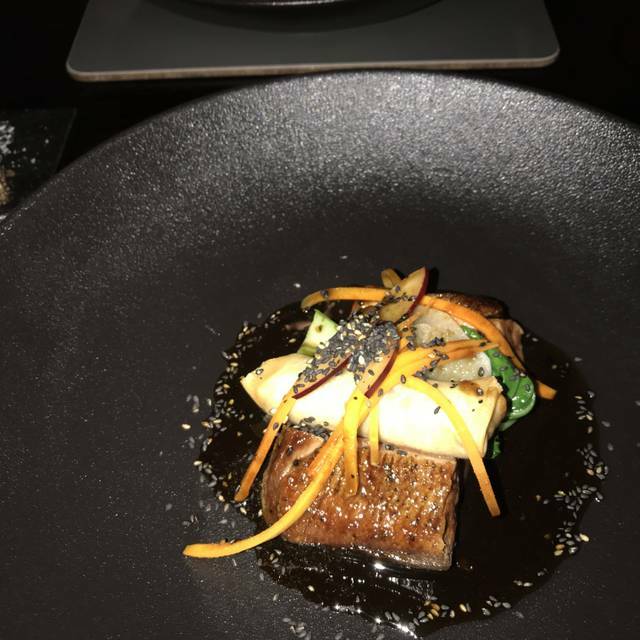 The meal was just perfect - I can't remember having a better meal even at my favourite Michelin star restaurant in Dublin. I would come back to bath to eat here again. 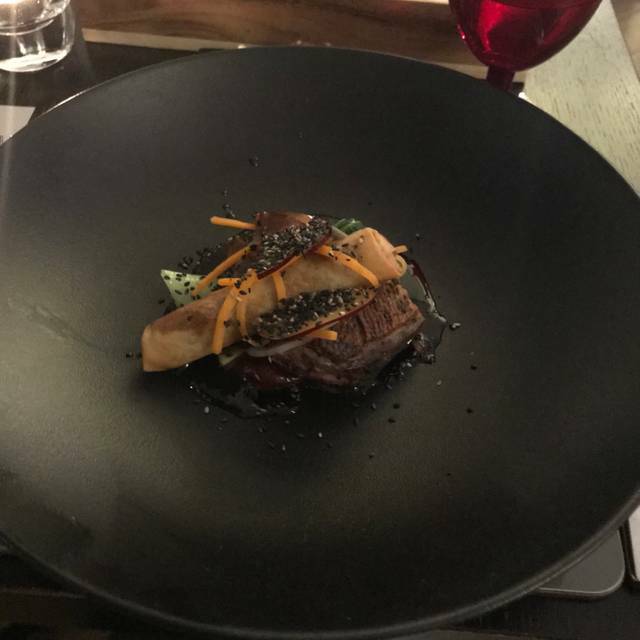 The food was of a good standard for the price but I would not say it was outstanding. Service was attentive although we did feel a bit rushed and had to slow it down by appearing not to have finished a course when we had! The wine I chose was not available which was disappointing but the waitress suggested an alternative which was ok. One negative thing was that there was an entrance to the hotel which led through the restaurant. It was a bit disconcerting during the meal when people were traipsing past our table with their shopping. It also caused a significant draught because of where our table was. I would recommend it but on a personal basis probably not return as there are other restaurants I would wish to try out. Perfect birthday lunch for my lady wife. The service, presentation, food and wine were all top-notch and the bloody mary's served prior to lunch in the bar were some of the best I have tasted, and I have tasted a few. 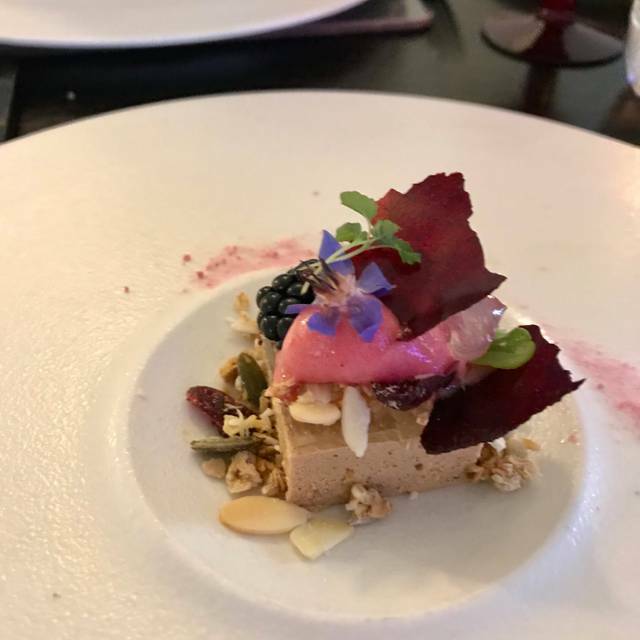 As Bathonians, it is jolly nice to know that there is somewhere on our doorstep to enjoy on special occasions and I would unhesitatingly recommend Dan Moon at the Gainsborough to anyone seeking a special dining experience. We were warmly welcomed and invited to choose where to sit. The service was fantastic with our wine glasses kept topped up and the food delivered with enough time between courses. The food looked and tasted wonderful and we didn't really need to eat again the rest of the day. Superb! Excellent food and service. Fabulous location. 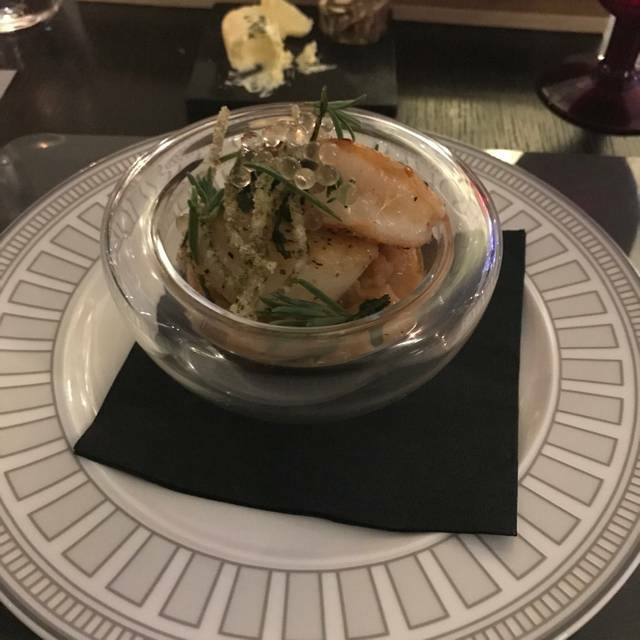 My girlfriend and I had a 5 course taster menu with wine also for each course, potentially one of the best meals I’ve ever had. The staff were brilliant and the food was equally exceptional. Would recommend to anyone, amazing. Headed to Bath for a concert and decided to make a day of it .We booked in a leisurely lunch, which suited the perfectly. The staff were great and the ambiance perfect. We will be recommending to our friends. Really enjoyed the creativity. Thank you we will recommend. We have eaten here quite often, the food is always good the only criticism is that the food could be a little hotter. Lunch at the Gainsborough was recommended to me by a colleague whose mother in law is an extremely good cook and very choosey about where she eats, and she does like to eat at the Gainsborough. The recommendation was "If she eats there then it must be good!" And indeed it was exceptionally good. The most divine food I have experienced in a long time, made all the better by the unexpected three wonderfully tasty little bread rolls that we were presented with, with a butter to match the flavour of each roll and each one differently shaped (one of them like a rugby ball - after all the 6 nations is on at the moment!) The food was exquisite, both to the tongue and to the eye. The service was excellent and attentive. Even the hand cream in the loos was gorgeous! The only criticism would be the amount of time we had to wait for desert - 20-25 minutes - which seemed unnecessary and a little unthoughtful considering guests have come to Bath to have a look around the city. Another time I would probably go for a 2 course lunch to avoid the long delay before desert. All in all though, a wonderful place to treat yourself at lunchtime. Great value for money, great service, really well presented and tasty. Would definitely recommend it to friends. This was our first time at this restaurant and we had high hopes. We were certainly not disappointed. Food was superb and service to match. We will definitely be back. Whilst we enjoyed our meal pre theatre the operation of a session before theatre starts at 7:30 leaves much to be desired. The problem is that the restaurant is being operated as an hotel dining room and the briskness that is required of a pre theatre session is totally absent. Either the waiting staff or the kitchen do not understand what they are doing. If you have to be at the theatre at 7:15, it is no good waiting to sit people down at 6:05 when the restaurant is said to open at 6pm and then every minute counts. You cannot wait for diners to make their choices as it has to be sit down, order and eat within 5 minutes, if you are to serve three courses. We were not eating until 6:20 which meant three courses were out of the question. Dan Moon and the restaurant manager need to go to the Ivy for a 6pm meal and see how it is done when you tell the maître that you need to be out by 7:10 which we did at your restaurant. Notwithstanding the staff just do not understand the dynamics of that session. This is not about pleasantness or skill it is about training and menu/session design. On a Saturday night when the Ivy is mobbed you were virtually empty when the facility and the kitchen skill should make you a great attraction as you are 4 minutes from the theatre. My advice is open at 5:30 amend the menu and train staff to get a move on. This short session should be all high energy and the main dinner session could then be more in the classic hotel style.